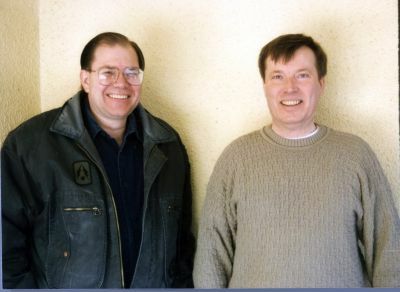 RVIS, Inc.’s first remote viewing class: Paul with Ed Bogges in January 1997. 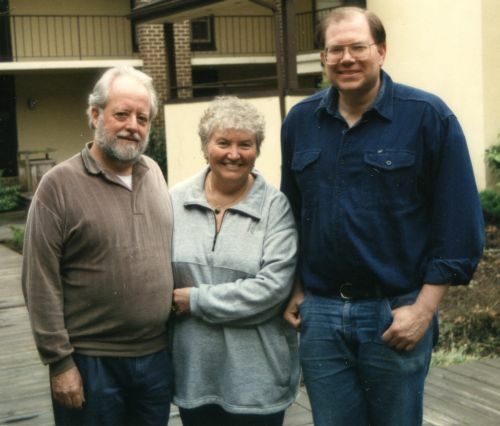 Gene and Leveda Troy with Paul. The first married couple to train in remote viewing. But this post is about now, not then. In the first year of RVIS, Inc.’s existence, a number of pioneering CRV students followed in Ed’s footsteps. Immediately after Ed Bogges my first-ever married couple signed on, Gene and Leveda Troy. Both of them performed amazingly well, but Leveda in particular seemed a natural for the skill. There soon followed, among others, Rich Krankoski whom some of you reading this will know as a bit of a gadfly and a voice for caution in the remote viewing field (you go, Rich!). One of Gene Troy’s successful Stage 6 (clay modeling) remote viewing targets. And there was my first Las Vegas class that summer, where I taught seven students at once. Counted in that number were Angela Thompson Smith and Palyne Gaenir, both names recognizable to many in today’s remote viewing community. There was also Gene Balmain, who sadly and unexpectedly passed away just a few years ago. Gene had for years maintained a popular online remote viewing target site, an service he began performing after taking my class. That course convinced me that you could teach a lot of students at the same time, or you could teach a few. But if you wanted to keep the quality of instruction high, while not requiring students to take too much time away from their lives for a class, and still have a manageable workload, a larger class size doesn’t cut it. Ever since then I’ve limited courses to a 2-1 student-teacher ratio, and it has paid dividends in how well students learn to remote view. By the summer of 1997 it was time for me to move my family and my company from Laurel, Maryland. I had retired from the Army not quite a year before, and we were due to move on, ready for a knew adventure. We found that adventure in Austin, TX, where I would go to graduate school for a PhD, write a book, help found a new remote viewing organization (IRVA), and continue to offer remote viewing training commercially. After one of the Hal Puthoff lectures on the science behind remote viewing. Hal is in the middle. On the far left is assistant instructor Nancy Jeane, who helped out with this class so we could keep the right student-teacher ratio. One huge privilege of being in Austin was that I could engage the services of the founder of the original CIA remote viewing program, the illustrious Dr. Hal Puthoff, to lecture my students on the early days of remote viewing and the science behind it. For the next 17 years, Hal lectured to nearly all of my Basic CRV and associative remote viewing courses, to the delight of all who attended. He continues those lectures for me today via Skype. But then, in June of 2014, our time in Austin was done. We moved once again, setting up housekeeping and our remote viewing training company in the heart of southern Utah’s spectacular National Park landscape. Our new home, Cedar City, is a small town with big town benefits. Its slogan is “Festival City,” and it is home to Southern Utah University and its top-rated, summer-long Shakespeare festival. Most important of all is Cedar City’s perch right on the doorstep of Utah’s “Mighty Five” national parks, as well as several national monuments and other spectacular points of natural and cultural interest. Three of these–the stunning Cedar Breaks National Monument, Kolob Canyon, and the Parowan Gap Ancient American petroglyph site–I have incorporated into my remote viewing teaching program as field trips useful to experientially illustrate remote viewing principles. 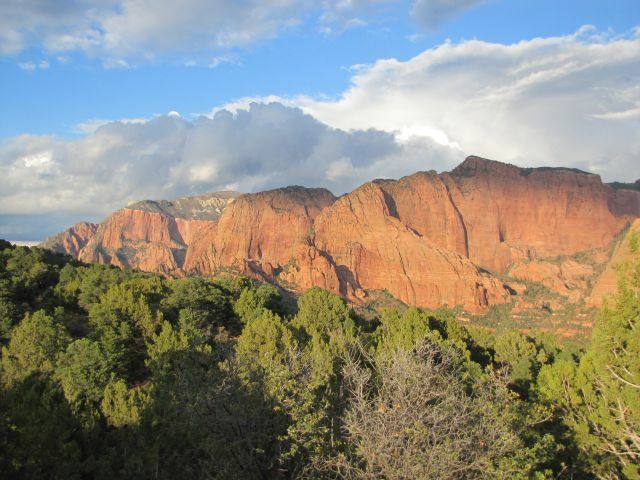 Kolob Canyon, near Cedar City, and a destination for remote viewing oriented field trips. According to my records, RVIS, Inc. has had nearly two hundred CRV students (and scores more ARV students, but I don’t track those). Compared to some of my former colleagues who teach dozens to hundreds (and in some cases thousands) at a time, this is a drop in the bucket. But I like to think (perhaps presumptuously, perhaps not) that we offer the Rolls Royce of the remote viewing instruction available today. To offer training of the highest caliber requires spending a lot of time and energy working directly with individual students. You can’t do it in a large group. Over these twenty years I have trained people from all walks of life: airline pilots, a florist, best-selling authors, a social media icon, a physicist, medical doctors, a handful of active and retired university professors, the CEO of a major foreign aircraft manufacturing company, a dog trainer, a musician who tours with a world-renowned musical act, music industry professionals, several PhD-level psychologists, military officers, a Congressional aid, a couple of inventors, one or two CPAs, both electrical and mechanical engineers, teachers and former teachers, a school administrator, two of the world’s leading computer security experts, several psychics, an architect, a few lawyers, and–well, the list goes on and on. 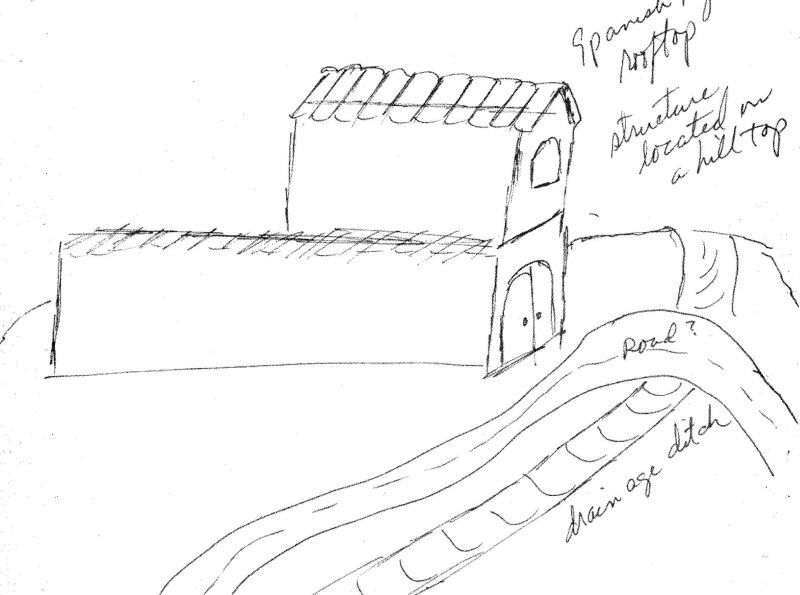 Detail from results produced by viewer Shelia Massey for a remote viewing project done at the request of the US Army. But it hasn’t all been about teaching. I and my small group of remote viewers have conducted a number of significant remote viewing projects as well. We have done projects for a couple of different multinational corporations, a billion-dollar US company, a US Army major command, several police departments and private detective agencies, a number of archaeological projects, and many others. By the nature of the beast, the details of many–perhaps most–of these must remain confidential. But I can give at least some details about a few (my new book The Essential Guide to Remote Viewing describes some of these), and some of these will make their way into this blog as time goes on. I’m now reaching what most people would consider retirement age. That’s not something I plan to do–retire. But realistically, I know I won’t as an active trainer be celebrating an RVIS, Inc. anniversary in another 20 years. Given the uncertainties of life and aging, I can’t guarantee I will even make it another ten (but I’ll do my best). I do feel confident that I’ll still be around for the next five. 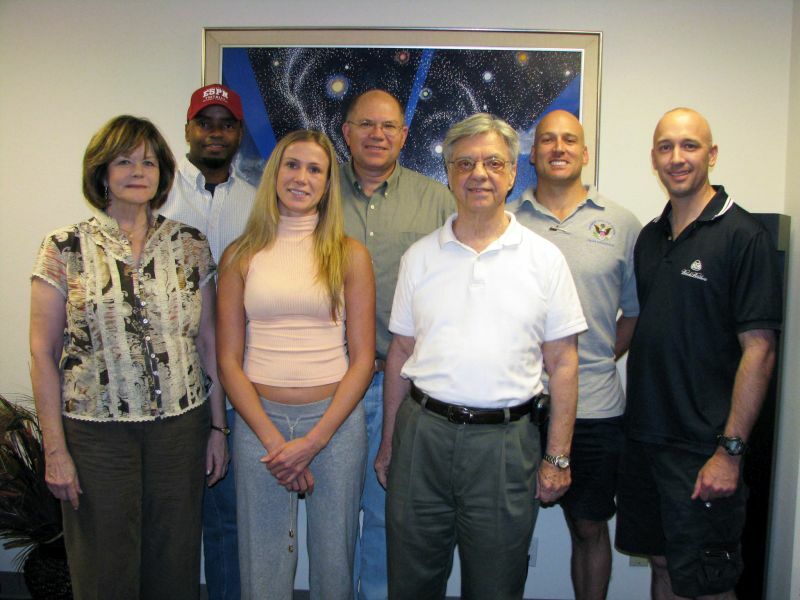 And I and my company, RVIS, Inc. promise to continue to offer the highest quality remote viewing training in the world. Great to see and hear people with integrity having open discussion on subjects that are still considered controversial by far too many people . Particularly enjoyed the recent interview on Thinking Allowed . Once again congratulations on your anniversary .